Sunday was an eventful day! Over breakfast, Oliver suddenly yelled, “My tooth has come out!” His middle 2 teeth on the bottom have obviously been wobbly for a while, but he didn’t notice until Thursday or Friday. So, it was a bit of a shock when one came out so quickly. 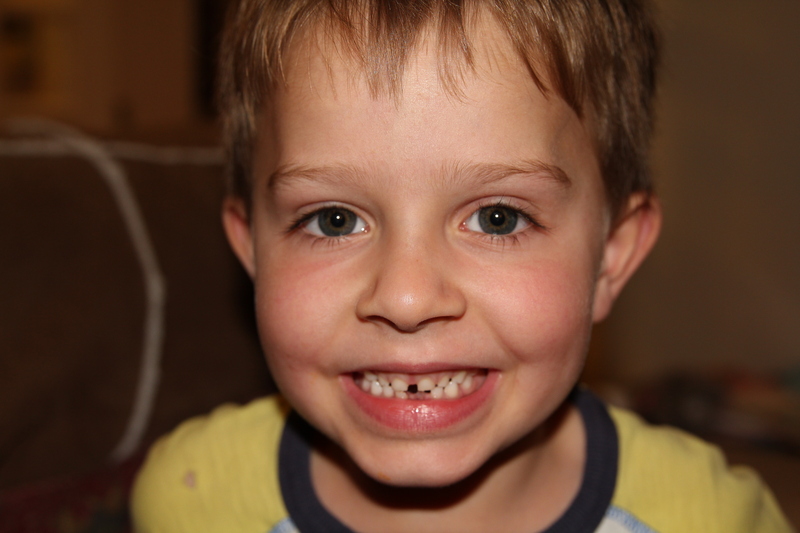 His other tooth is very close to falling out. I believe the tooth fairy will be back again this week for that one. First tooth to fall out. 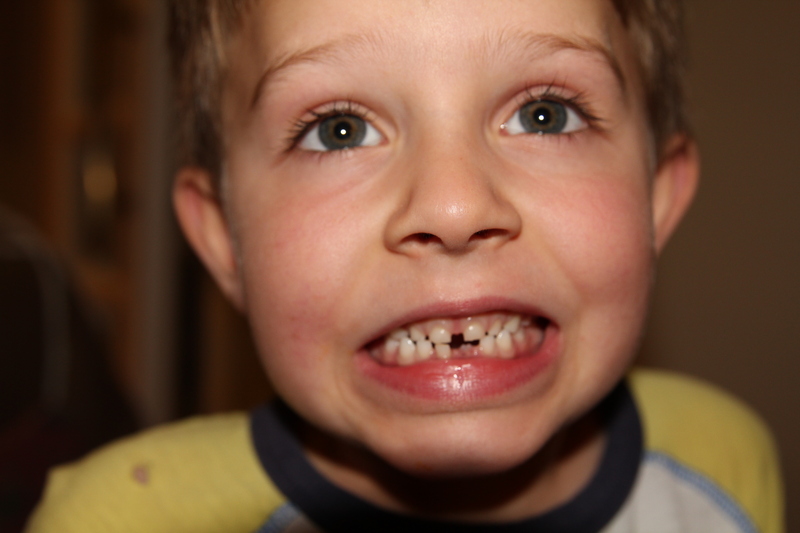 The other bottom tooth is ready……. Isabelle has had 2 wobbly teeth for a while. At dinner time, she was busy chewing her meat and then cried, “oh no, I think I have eaten my tooth”. A quick examination of the contents of her mouth (:-)) and we recovered tooth number 6 ready to go under her pillow. What a busy and expensive night for the Tooth Fairy in the Jones House! The gaps are looking more even now. 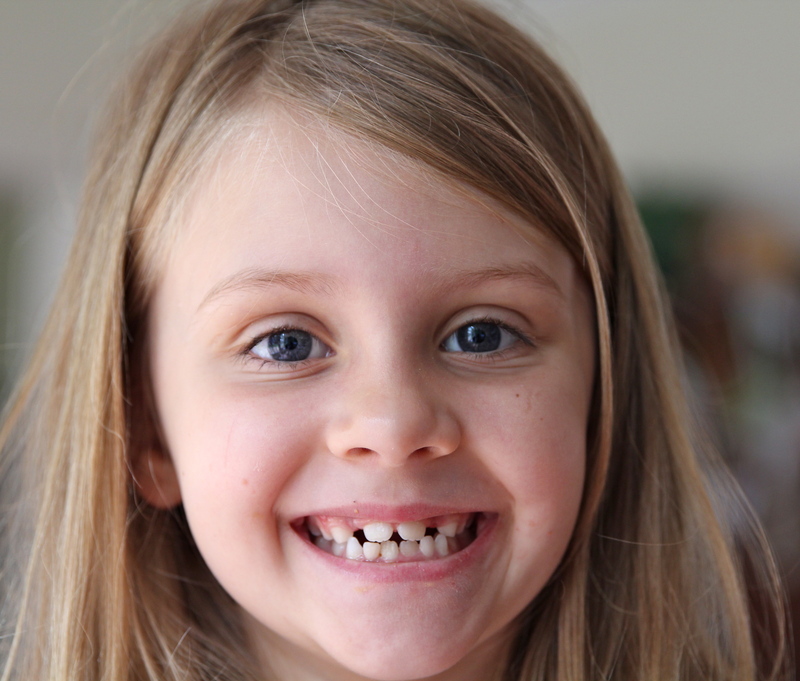 This entry was posted in Uncategorized and tagged Kids, Tooth Fairy. Bookmark the permalink. The Tooth Fairy is quite generous in Shanghai. The kids both got 50 RMB. I am pretty sure that Oliver will need braces as his bottom 2 adult ones are quite wonky! !